What a great looking website! Bright colours, beautiful images and the overall theme that definitely goes well with the school name “Guardian Angels”. That’s why this school website has been selected as the website of the week. Guardian Angels Catholic Primary School is based in Birmingham, West Midlands and it seems to be really focused on striving for educational excellence through high expectations, quality teaching and stimulating environment. Yellow colour seems to be dominating throughout the website which makes sense because this colour represents the school uniforms. The layout of the website is clear and it is easy to navigate. The homepage features some nice pictures of children alongside the links to the main pages. The menu bar includes links to other pages where you can find all the information regarding students, learning materials and the school life in general. I really like how the school website includes links to useful websites and other online learning materials for pupils. They can be found under ‘Pupil Page’. It’s great to see that the school is using our Spellings app! ‘School events’ page features pictures from previous school events and trips. This is a great way for engaging with pupils, parents and the wider community. 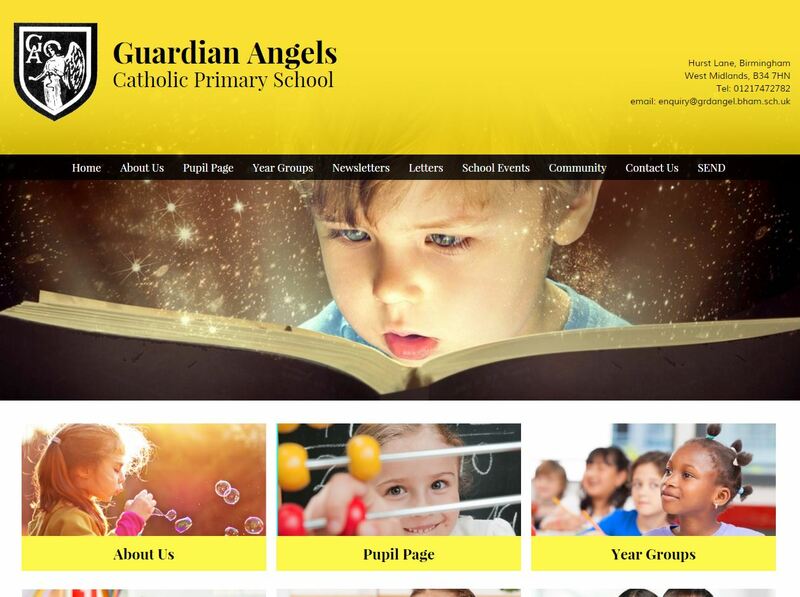 I’m very impressed with this website of the week that has been created by Guardian Angels Catholic Primary School. Well done!